At the center of custom configured DS4V Digital Remote Start Systems are the DS4 System Module, which includes wiring harness and temp sensor, and the DS4VP System Module that also includes high-current relays. Pair the system module with the appropriate T-Harness and, with the included 3X Lock Start compatibility and FREE Smartphone Control, a basic DS4 remote start system can be installed. Choose an RF Kit to upgrade the system with a wide range of industryleading remote transmitters. You can even add Viper SmartStart, for the ultimate in vehicle remote start, control, and GPS features. Create a feature-rich Remote Start and Security System by adding the Security Upgrade Kit for full vehicle protection. 3X Lock Start! For customers that prefer to keep their original factory remote, Directed DS4 Systems provide seamless integration with the OEM remote right out of the box! This 3X Lock Start compatibility, enables remote start by pressing the factory remote transmitter’s lock button three times to remote start the vehicle. Smartphone Control! 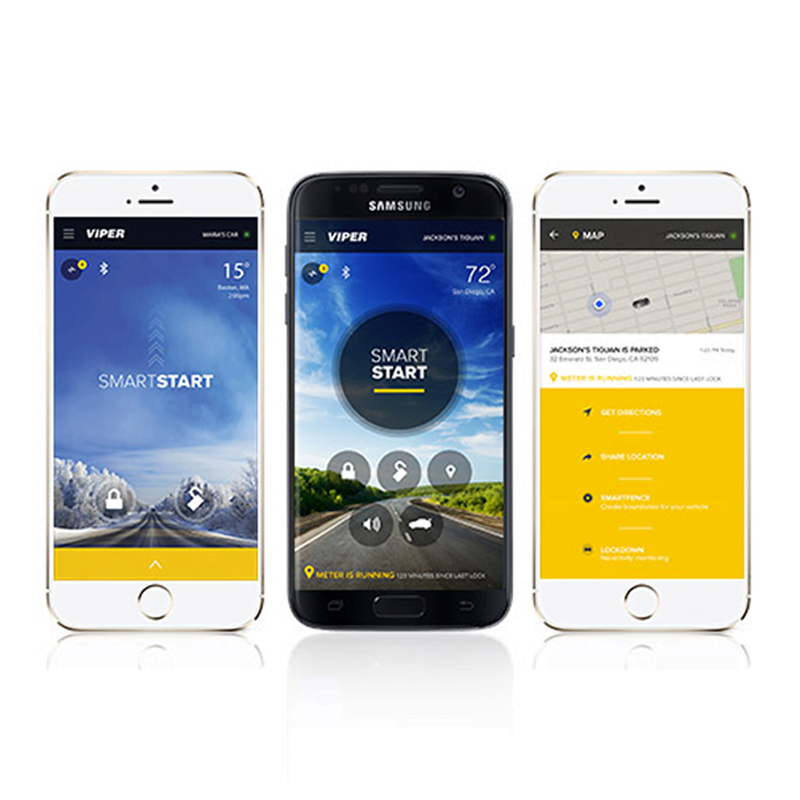 For a more convenient and interactive connection to the vehicle, Directed DS4 Systems provide FREE smartphone control via Bluetooth Smart® technology and the FREE Directed SmartStart mobile app.